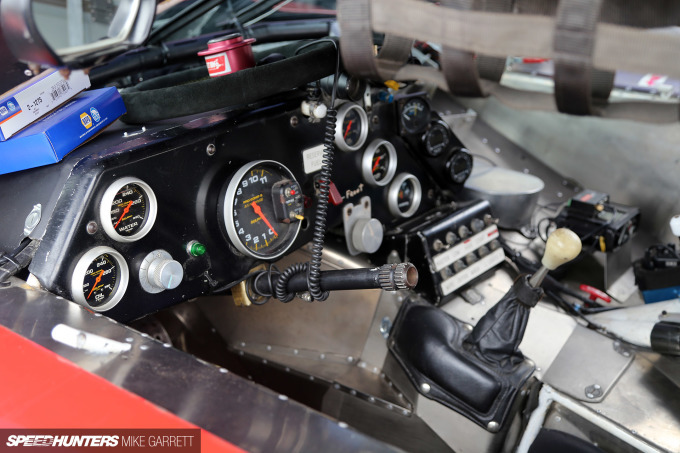 Looking down the entry list of a historic race event like the Rolex Monterey Motorsports Reunion, it’s easy to see that the vast majority of cars are either of European or American origin. 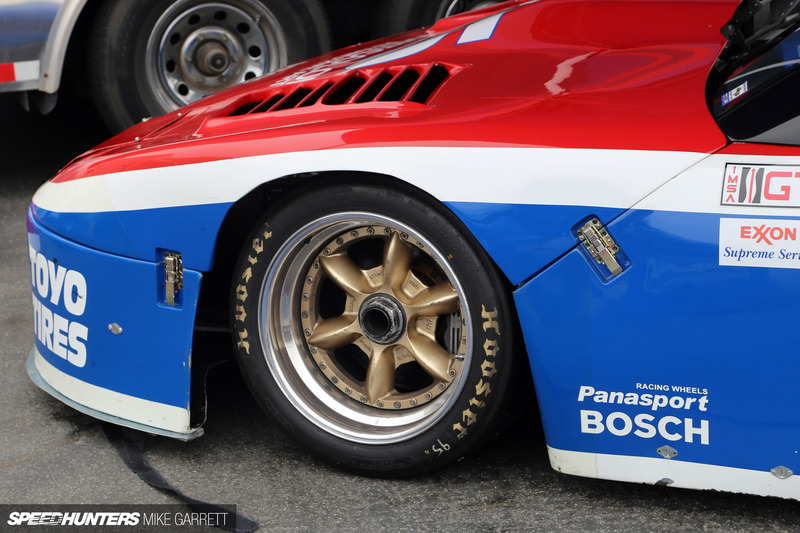 Japanese vehicles represent only a small piece of the pie, even given their prominence in international motorsport from the 1970s onward. That doesn’t mean, however, that Japanese cars are unwelcome or go unappreciated at Laguna Seca this time of the year. 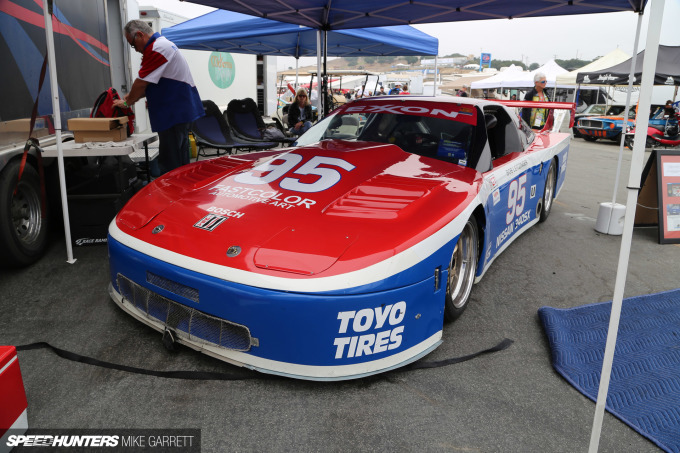 Not only do the Japanese-badged race cars stand out in a big way at the Reunion, they’re also fan favorites, particularly among the slightly younger set who came of age during the ’80s and ’90s. 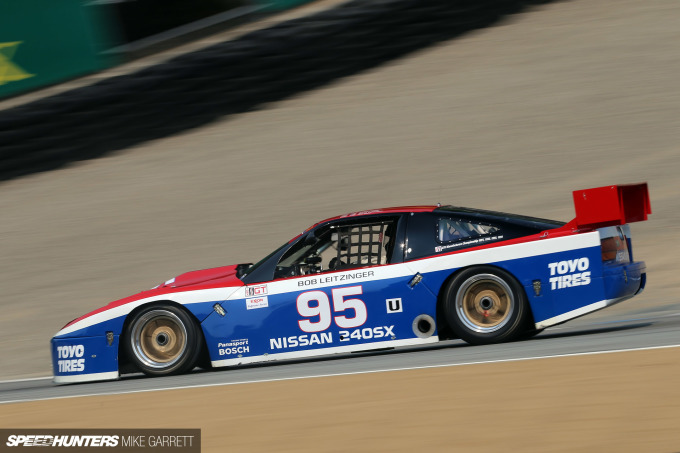 Which brings me to the IMSA GTU Nissan 240SX originally campaigned by well known Datsun and Nissan racer Bob Leitzinger, and currently owned and raced by Philip Mendelovitz. 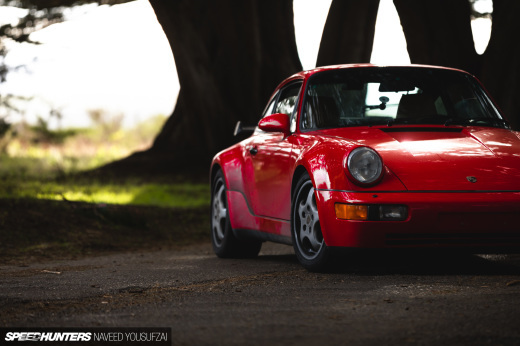 Despite its massive popularity among car enthusiasts, the 240SX’s adventures in sports car racing are not often talked about. Then again, there isn’t a whole lot this car car shares with any production S13 sold in the United States or anywhere else. 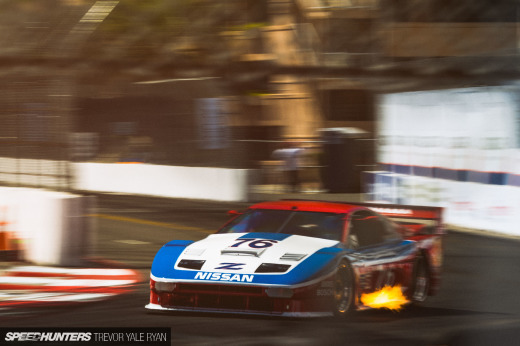 Beneath its familiar Nissan red, white and blue body sits a full tube chassis that was built from the ground up for racing. The roofline and taillight lenses are some of the only parts this thing shares with a normal S13. Power comes not from the KA24 that powered American market 240SXs, nor the SR20 and CA18s the rest of the world got in their 180SX and 200SXs. 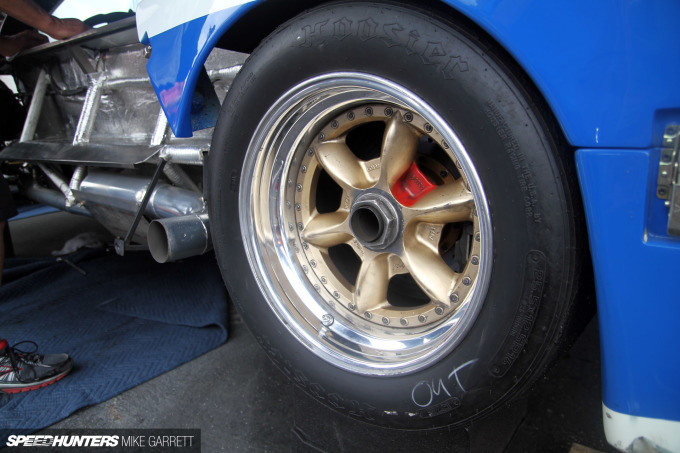 Instead, you’ll find a dry sumped, naturally aspirated version of Nissan’s VG30 single overhead cam V6 making about 340 horsepower. The body itself sports carbon fiber panels and the wheels are six-spoke Panasports measuring 16×11-inch up front and 16×12-inch in the rear. I would imagine replacements are not easy to come by. This particular car, chassis number LR-001, was entered in nearly 80 different events during its career, and it helped Nissan earn four straight manufacturers championship wins between 1991 and 1994. That’s an impressive feat by any standard. 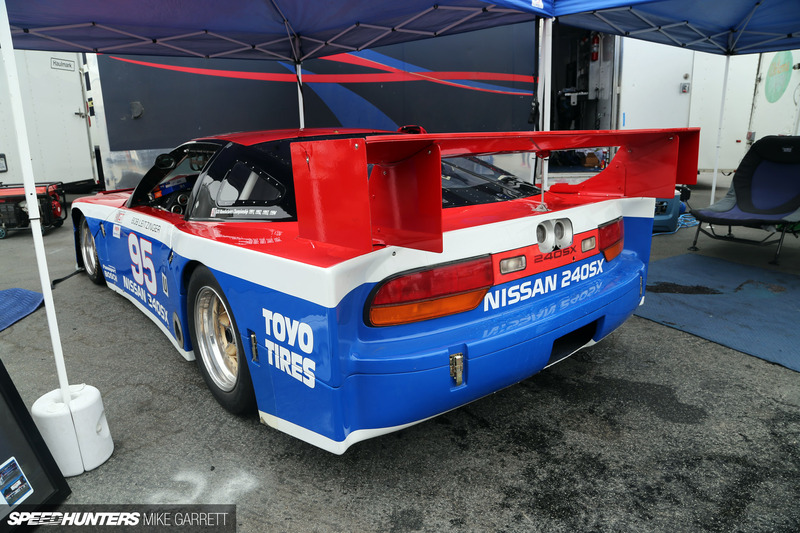 Is this tube chassis racer a 240SX in name only? I suppose so, but that doesn’t make the car any less interesting or fun to watch. 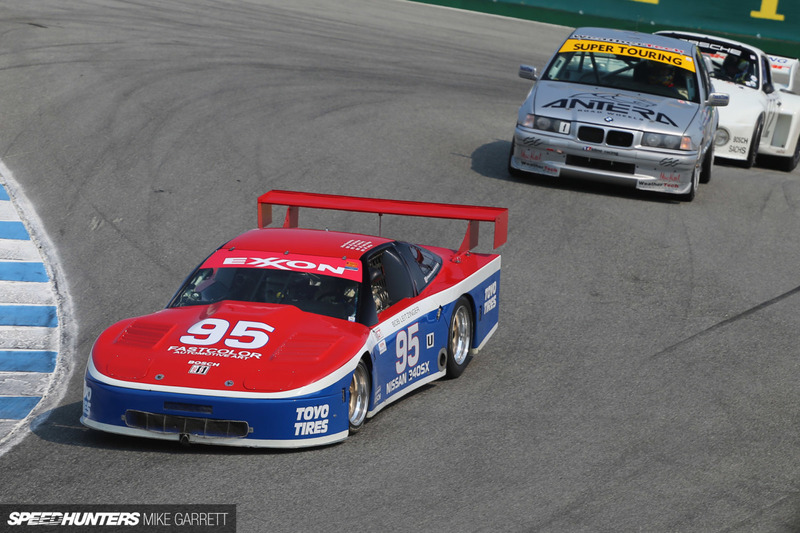 It’s an important part of IMSA history and a more-than-worthy part of the Japanese contribution to the prestigious Rolex Monterey Motorsports Reunion. This is a 240 i can get into! So badass! YAY! This article makes me happy! I actually considered a VG30ET for my 240sx build. I was sourcing it from 1986 Turbo 240z that was dying in a neighbor's yard. I decided to op out of that decision from the inflated build cost but, now I regret this. I never realized the IMSA car was the same engine block. WOW a 240sx without a cracked dash lol I'm just kidding. 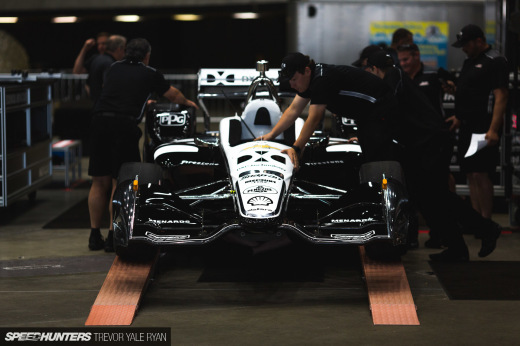 This is a cool article and an even cooler car. The Pignose one looks better. My god. Those wheels. I'd love to build an IMSA-themed car of some sort. Man, haven't seen one of these in years!! I almost forgot they existed. With every S Nissan under the sun being beaten towards drifting these days its refreshing to see that wasn't always the case. Yeah but Bro, does it even drift??! I was there when it was in action. The vg30 sound was addicting. Oh, look. Another S13 with overfenders and an engine swap. Talk about original. TarmacTerrorist If you put your foot down hard enough! !